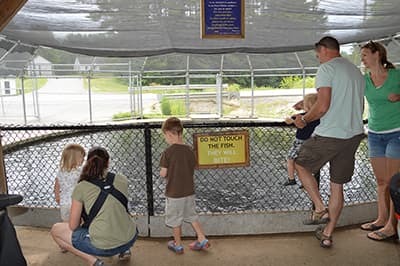 Walk down the hill past the park's eagles, turtles and wetland trails to the adjacent Dry Mills Fish Hatchery. There is a brand new interpretive building and trout pond here, trout observation tanks and thousands of brook trout are raised annually. Feed the round pond trout for a quarter!